John Paden, the American author of the biography of President Muhammadu Buhari, has donated the proceeds of the Book “Muhammadu Buhari: The Challenges of Leadership in Nigeria” to charity efforts in the North East of the country. 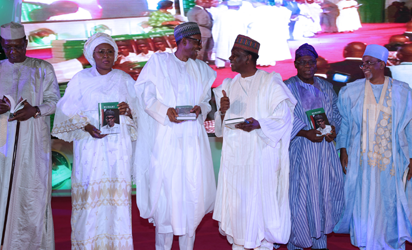 The book was launched today in Abuja at the International Conference Centre. The organisers however didn’t accept huge donations or individuals to purchase copies in millions of Naira.